It’s one of the many things us Buffalonians get pretty sensitive about… chickens wings, what we call them, and what we dip them in. 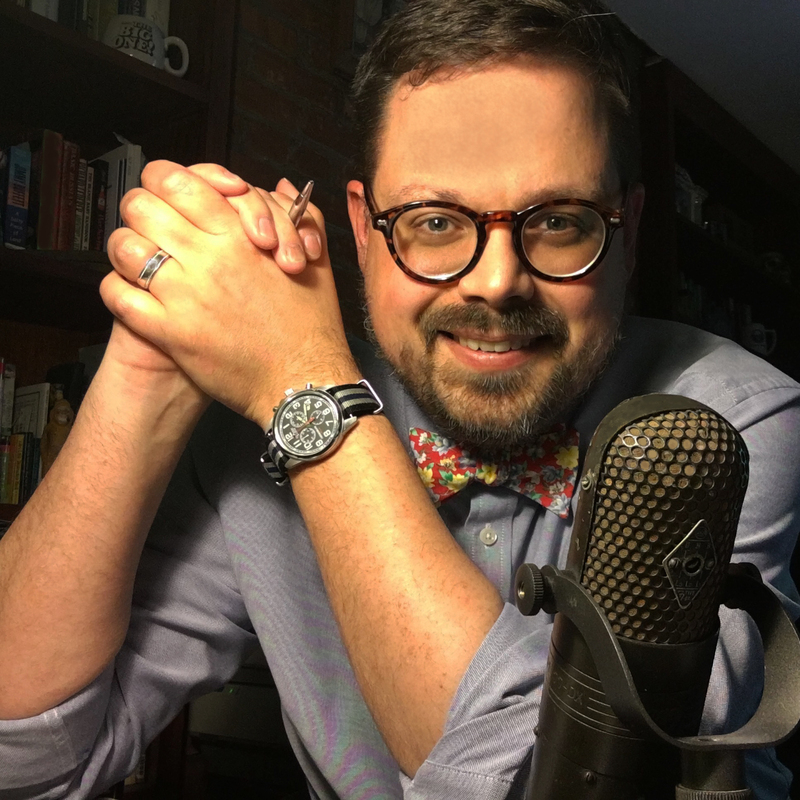 We mock the uneducated who don’t know any better– but call them Buffalo wings, or those who unwittingly dunk those flats and clubs into Ranch dressing. 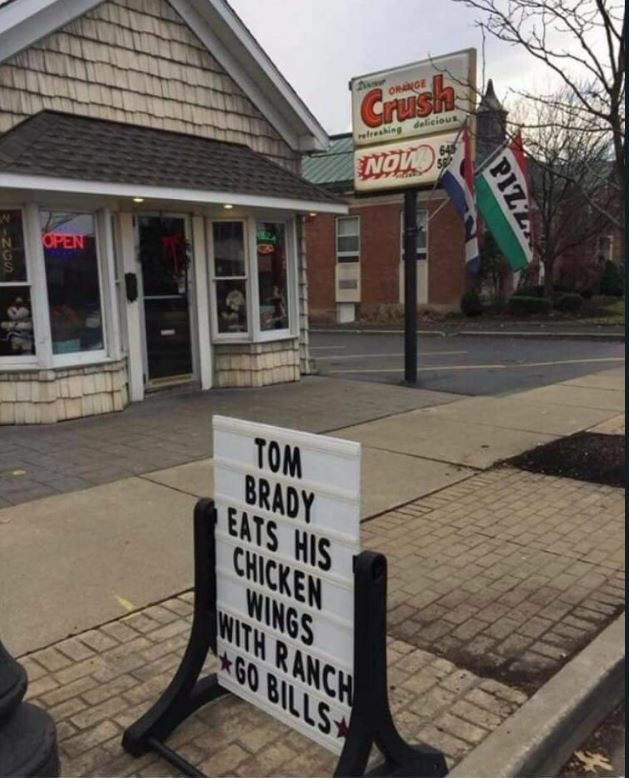 But when Frank’s Red Hot– the secret ingredient in most of Buffalo’s favorite chicken wings– tweets about “Buffalo wings” AND eating them with Ranch dressing, it’s enough to make a Western New Yorker lose his mind. And many have on Twitter. Frank’s has been trying to make up for the gaffe– which is only a gaffe inside the 716 area code. Frank’s RedHot has issued its mea Gorgonzola. For Buffalonians, that went over like the Sabres’ “Buffaslug” logo. Using many, many – did we say many? – amusing GIFs, the twitterati gently informed Frank’s that blue cheese is the best and only acceptable dipping sauce for wings. 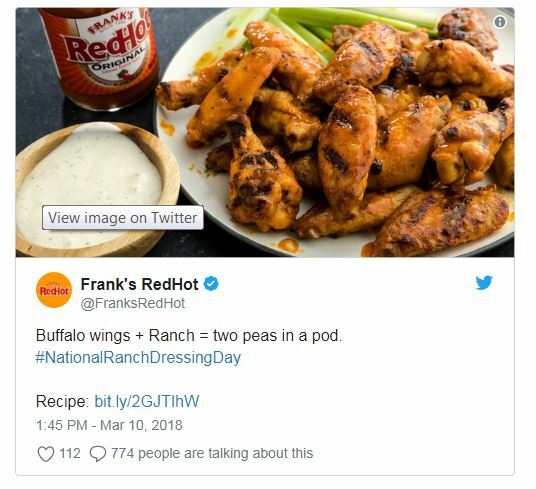 Twitter users asked whether the company’s social-media account had been hacked, vowed to never again use Frank’s RedHot sauce and otherwise expressed outrage. The company waited until Monday afternoon to respond. That’s when Frank’s sent out another tweet saying it wants to properly honor blue cheese dressing. 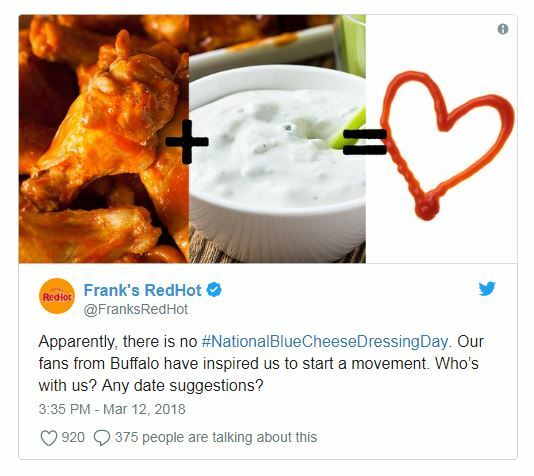 “Our fans from Buffalo have spoken in response to our #NationalRanchDressingDay tweet and inspired us to create a movement for #NationalBlueCheeseDressingDay, where we can highlight the original perfect pair – Buffalo wings and blue cheese dressing,” a spokeswoman said in a statement to The Buffalo News. Frank’s said it’s looking for feedback from Buffalonians and others on social media about how best to celebrate this new holiday. At the same time, the folks behind the National Buffalo Wing Festival – not you, too? – late Monday announced on Facebook that they wanted to host a National Blue Cheese Dressing Day on June 4.